"Lone Star Historian" is a blog about the travels and activities of the State Historian of Texas. Bill O'Neal was appointed to a two-year term by Gov. Rick Perry on August 22, 2012, at an impressive ceremony in the State Capitol. Bill is headquartered at Panola College (www.panola.edu) in Carthage, where he has taught since 1970. For more than 20 years Bill conducted the state's first Traveling Texas History class, a three-hour credit course which featured a 2,100-mile itinerary. In 2000 he was awarded a Piper Professorship, and in 2012 he received the Lifetime Achievement Award from the Wild West Historical Association. Bill has published over 40 books, almost half about Texas history subjects, and in 2007 he was named Best Living Non-Fiction Writer by True West Magazine. In 2013 he was awarded an honorary Doctor of Letters degree by his alma mater, Texas A&M University - Commerce. On a Monday evening last July I received a phone call from Dr. Gregory Powell, President of Panola College in Carthage. After we exchanged greetings, Dr. Powell informed me that he was in the midst of a board meeting at the college and the call was official. He explained that the board had just voted unanimously to name our new apartment dorm "Bill O'Neal Hall," and he asked my permission to use my name on the building. My permission! I was profoundly grateful, and tried to say so. But I also was flabbergasted, and it was difficult to express my heartfelt appreciation. I joined the Panola College faculty in 1970, when I was still in my 20s, and for someone who has enjoyed a lengthy association with an institution of higher learning, the greatest honor that can be bestowed is for a college building to bear your name. Later that evening, when I had settled down a little, I articulated my gratitude in a letter to each board member and to Dr. Powell. The next morning I mailed the letters and went to Dr.Powell's office to express my thanks in person. Dr. Powell welcomes the crowd. Panola County Junior College was founded in 1947. When I arrived on campus in 1970, I was one of only 25 faculty members, while the student body totaled just 675. There was only one residence hall, a single-story athletic dorm that accommodated 28 young men. But in the decades since my arrival at Panola, the student population has more than tripled. 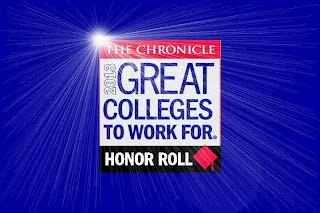 In recent years Panola has been one of the fastest-growing colleges in Texas, with a commensurate need for residence halls. Two large dormitories were built, but after Dr. Powell assumed the presidency in 2000, he located a residence hall model at Navarro College in Corsicana. These halls were compact, two-story apartment dorms built to house 32 residents apiece. During the past few years Dr. Powell and the board have erected three apartment dorms, utilizing the same set of blueprints. But with the continued student body expansion, it was decided to double the size of the next apartment dorm by placing the blueprints end-to-end, thereby accommodating as many as 64 students. This handsome new building was completed in mid-summer, in plenty of time for the fall semester. Occupants are scheduled to move into all dormitories on Saturday, August 24, prior to the start of classes on Monday, August 26. A few days before move-in day, on Wednesday, August 21, an Open House was staged to show off the newest addition to our growing campus. Wednesday was clear, and by ten o'clock a large crowd gathered outside the new building. Many members of the faculty and staff were present, along with board members. The Chamber of Commerce came in force, clad in their red blazers. Many of the citizens who came were former Panola students. Dr. Powell had asked me to deliver brief remarks. He welcomed the crowd, then introduced me. I presented an outline history of residence halls on campus, beginning with a surplus army barracks purchased in 1948 by Panola County Junior College as an athletic dorm for the Pony football team. The price of the barracks was $107.50 - PCJC paid more than that to transport the building to Carthage. Twelve years later this spartan athletic dorm was replaced by a single-story masonry hall for scholarship athletes; amenities were limited by the presence of merely one electrical outlet in each two-man bedroom. Another 12 years passed before a dormitory finally opened for non-scholarship students.The two-story co-ed dorm had a wing for women and a wing for men, providing occasional nocturnal adventures. The later construction of a men's residence hall allowed the co-ed dorm to become an all-women's facility. During the 13 years of his presidency, Dr. Powell has established continuity and long-range planning. He found a dormitory model at Navarro College, a two-story apartment dorm which houses 32 students. Three of these halls have been built on our campus. But rapid student growth caused the recent construction of a hall that is twice as long and which can house 64 students. It is this handsome new facility which now bears my name. Following my remarks there was a ribbon-cutting ceremony hosted by the Panola County Chamber of Commerce. Afterward members of the crowd toured the apartments and enjoyed refreshments provided by the college. I had a wonderful time visiting with everyone. I was delighted by the unexpected presence of Larry McNeill, an Austin attorney and former president of the Texas State Historical Association who was instrumental in creating the office of State Historian. While talking with Amy Denton Calhoun, a former Panola student and a current faculty member, I laughed when she told me that she was a resident of the co-ed dorm in the 1990s without realizing that it was built before she was born! In every way the morning was a grand and memorable occasion for me. 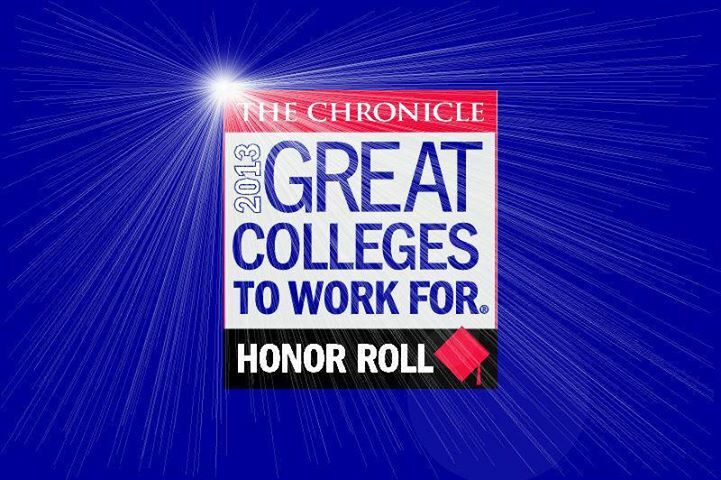 named to the Honor Roll of the nation's top twelve Great Colleges To Work For. Congratulations again Bill....another honor well deserved. Congratulations to be one of the few living recipients of such an honor. I have known one other, Dr. Ruth Cross of West Texas A & M University, a remarkable professor and woman, and equally deserving.